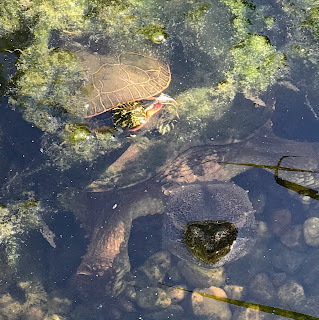 A number of years ago I was witness to an odd animal sight; two small painted turtles, Chrysemys picta basking on a floating snapping turtle, Chelydra serpentina. Nobody really believed me. But this week I saw a similar sight (and with witnesses). 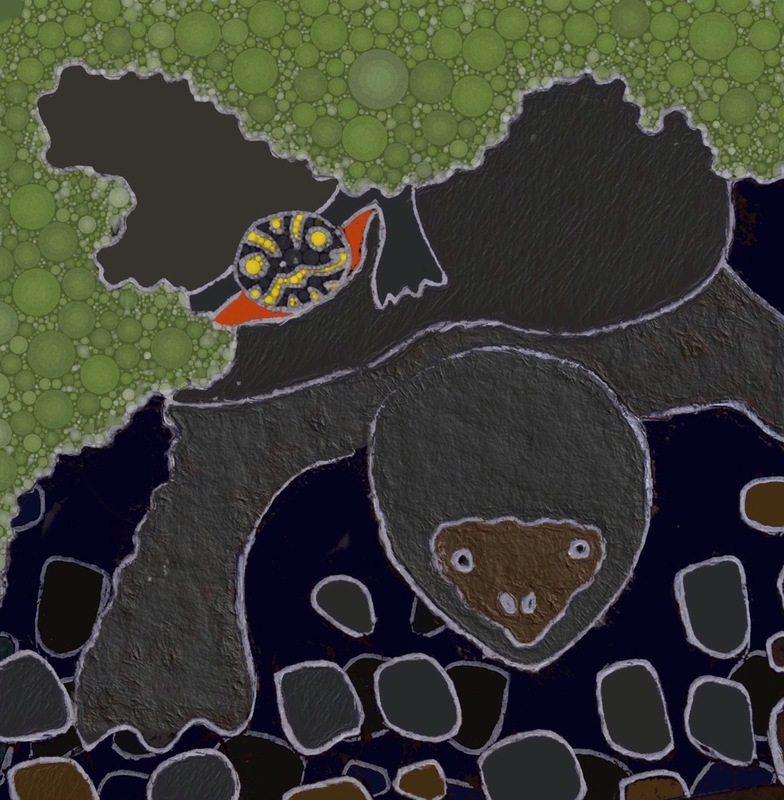 This time it was one painted turtle with one snapping turtle. The snapper was mostly submerged with just its snout out of the water. The painted turtle was floating just above it. Occasionally the painted turtle took a good nibble at the snapper. We all expected retaliation from the snapping turtle, but none came. The snapper barely registered the bite. So what was happening? We entertained a few ideas before coming up with a plausible explanation. We speculated that the painted turtle was eating leeches off the snapper. Later I looked for some information on this behavior. I found a few references to this behavior, including a scholarly article from the journal Canadian Field Naturalist. I wonder if this is a rare interaction, or maybe only occurs in certain types of water bodies. Or maybe it's a common, but rarely observed because snapping turtles spend so much of their lives at the bottom of lakes and pond.